Also the opportunity to go into new businesses. We are local because our office used to be Brentwood before we moved to Rainham and I live in Brentwood hence good knowledge of Brentwood. Rainer Hughes Solicitors, are key players in the Shenfield Community. They have been so since 1996 when the practice first traded as Hughes and Co. Their modern offices adorn the high street and take pride of place in this bustling area. Brian Hughes MBE, the founder of the practice, had been closely involved in Shenfield and the surrounding area since 1968. 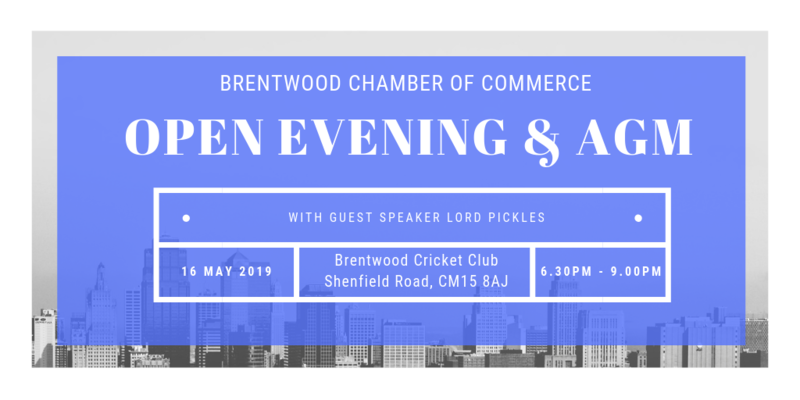 Fast forward to the present day and he remains as involved as ever in Shenfield, as head of the Property Department and as President or Chairman of a number of community organisations. Among his many other activities he gives regular talks on Brentwood based radio station, Phoenix FM, on various aspects of the Law. He is no stranger to radio having previously appeared “pro bono” for many years on the Essex Radio programme, Lifeline, dispensing advice to listeners on personal problems relating to the Law. Rainer Hughes’s Property Department (focussing on residential conveyancing and commercial property) is more active than ever; it receives instructions not only from local residents and companies but also from clients in London and the Home Counties who trust Rainer Hughes to ‘get the job done’ properly. The active recruitment of solicitors and conveyancers in this department is testament to this and its growth. As Brian explains “Shenfield and the surrounding areas represent a very active market. With the advent of Crossrail we expectfurther growth in housebuilding and business opportunities for our clients”. Rainer Hughes is in the enviable position of being able to “give back” to the Community, supporting charities such as Age UK, SNAP and Save the Children. It is also a sponsor of one of the premier league’s ladies football teams. Whilst Rainer Hughes may appear to be a “High Street” firm, it has a not so well-kept secret; it also operates a boutique litigation department that has worldwide clients ranging from global companies and high net worth individuals to sovereign states. As a consequence of Rainer Hughes’s highly regarded commitment to achieving the best results for its clients, it has been recognised as a Top Tier Legal 500 firm and has achieved the Law Society’s Conveyancing Quality Scheme and Lexcel quality benchmarks. To top this, Rainer Hughes was recently recognised nationally by winning the Corporate International Magazine award as best specialist VAT Law firm in England and Wales in 2018. Quite some achievement! Senior Partner, Sanjay Panesar, commented that “this really does cement our position as one of the market leading law firms. 2018 continues to be a busy year for us and we are, as always, entirely committed to the highest level of service we can offer our clients”. So, whatever your legal needs, Rainer Hughes is here for you. Your local but worldwide Solicitors. The Really Caring 60+ Recruitment Company (TRCRC) was established in 2007 with a mission to find meaningful work for the thousands of older workers who want to return to the workplace. Having met over 5000 candidates over the last nine years, mostly talented individuals who have been ignored by the recruitment industry, we have been privileged to talk to a massive pool of untapped talent, who are champing at the bit to give something back. In 2015, TRCRC moved into Essex and we are now actively seeking companies who want to accrue the enormous benefits of employing older, experienced workers. People are living longer, healthier lives and we feel it’s now time to remove the stereotypes and move forward with a different blend of workforce; one that mixes youth and experience so that our industries do not run out of skilled workers. TRCRC have appeared on BBC Radio countless times, on Channel 4 and spoken at TEDx events. We have supporters in both Houses of Parliament and passionately believe that we will soon see a breakthrough with our crusade. If we do nothing, we will run out of workers NOT jobs.